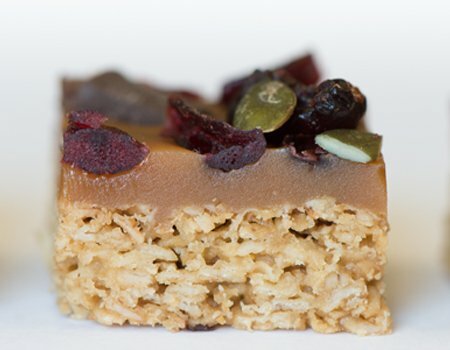 From cakes and cheesecakes through to pastries and confectionary, as well as traditional tray bake products such as brownies and flapjacks, we can provide a solution to meet your needs. 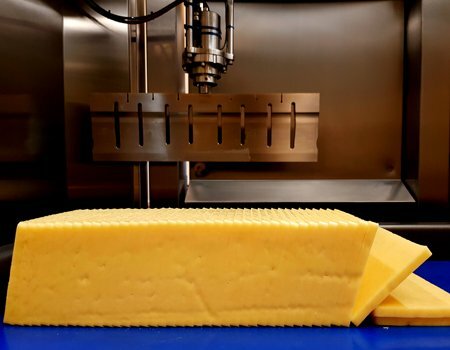 Our ultrasonic machines are designed to maximise yield and throughput and minimise giveaway, while ensuring the highest possible cut quality, even for cheeses with additional components such as nuts and fruit. 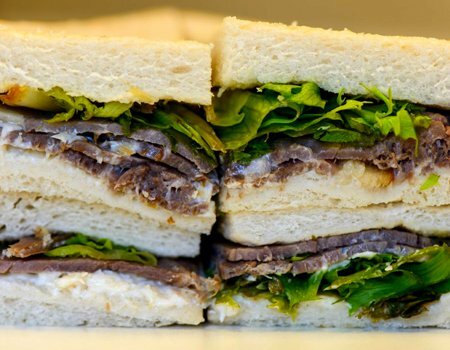 Focusing on immaculate presentation and yield increase, our food-to-go machinery provides quality portioning for products such as sandwiches, wraps and paninis, meat pies and quiches. Using our machines for cooked meat, poultry and pate, you will benefit from increased throughput, less handling, less giveaway and important labour savings. If our standard machinery doesn’t meet your unique business needs, we can design and manufacture a tailored system especially for you. 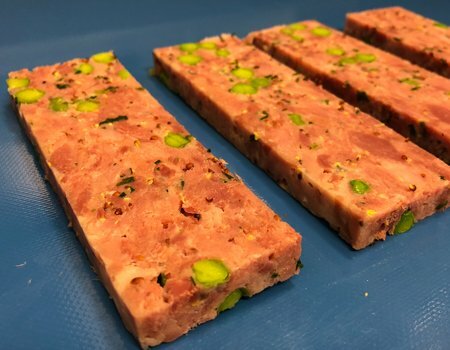 With over three decades of experience within the food industry, we are an innovative, forward-thinking business operating from our base in the UK. 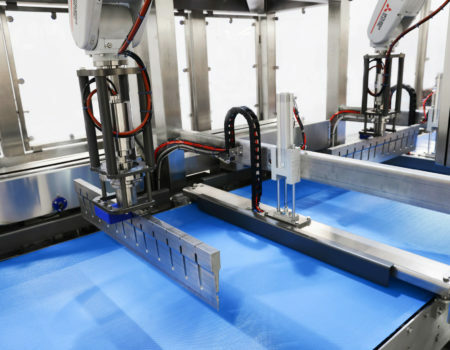 We are experts in the design and manufacture of industrial ultrasonic slicing, cutting, portioning and handling machines and automated solutions, which we distribute to customers worldwide. 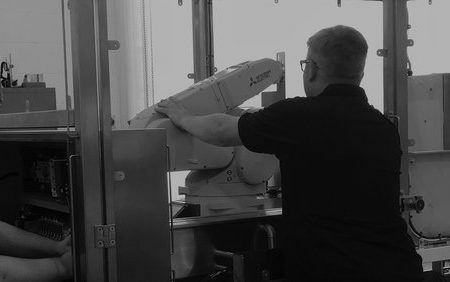 With a little imagination, a vast wealth of knowledge, and state-of-the art robotic technology, we translate our customers’ industrial slicing requirements into reality on a daily basis, portioning product precisely, minimising giveaway and maximising yield. 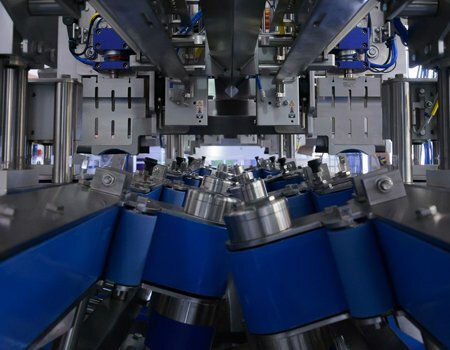 We offer a wide range of machinery thoughtfully tailored for individual food sectors, but what really sets us apart from our competitors is our ability to meet our customers’ unique, individual requirements; from making adjustments to our standard models to designing a completely bespoke system, we can deliver the solution that is right for you. We offer service packages as well as global telephone, remote and on-site support, so wherever you are in the world, we can be there to support you. 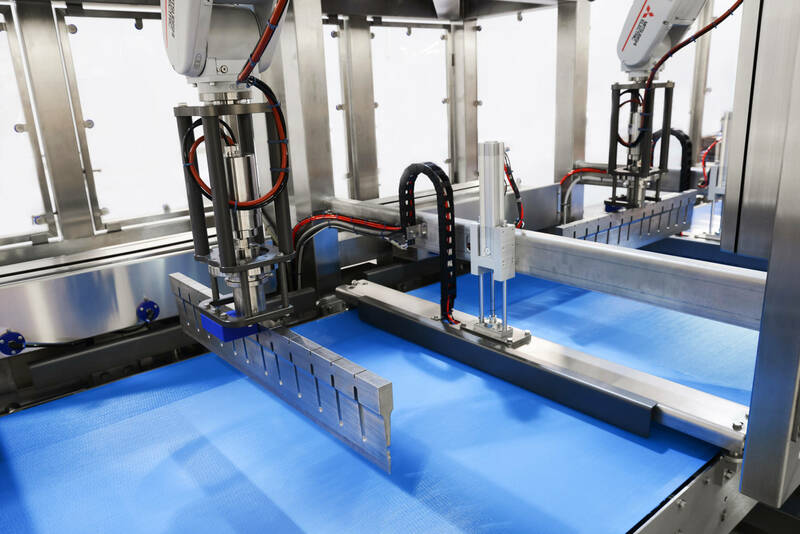 To find out how a Newtech solution can increase your product’s throughput, solve your cutting challenges and ultimately save your business money, speak to our dedicated team today.